Oulu is a city and municipality of inhabitants in the region of Northern Ostrobothnia, Finland. Your day-by-day itinerary now includes Loihakka as well as Rokua Geopark Information Center Suppa. Appreciate the collections at Raahe Museum and Turkansaaren Ulkomuseo. 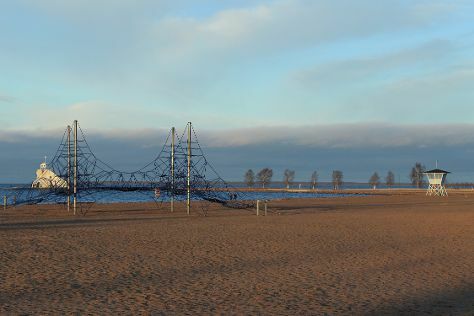 Step out of the city life by going to Nallikari Beach and Oulu Climbing Centre. Step out of Oulu to go to Yli-Ii and see Kierikki Stone Age Centre, which is approximately 54 minutes away. There's much more to do: identify plant and animal life at Hupisaaret Park, browse the eclectic array of goods at Kauppahalli, examine the collection at Oulun Taidemuseo, and admire the landmark architecture of Oulu Cathedral. To see traveler tips, ratings, and other tourist information, read Oulu itinerary planner. Expect a daytime high around 23°C in July, and nighttime lows around 14°C. Cap off your sightseeing on the 12th (Fri) early enough to travel back home.